BEST LOCATION IN LODO! 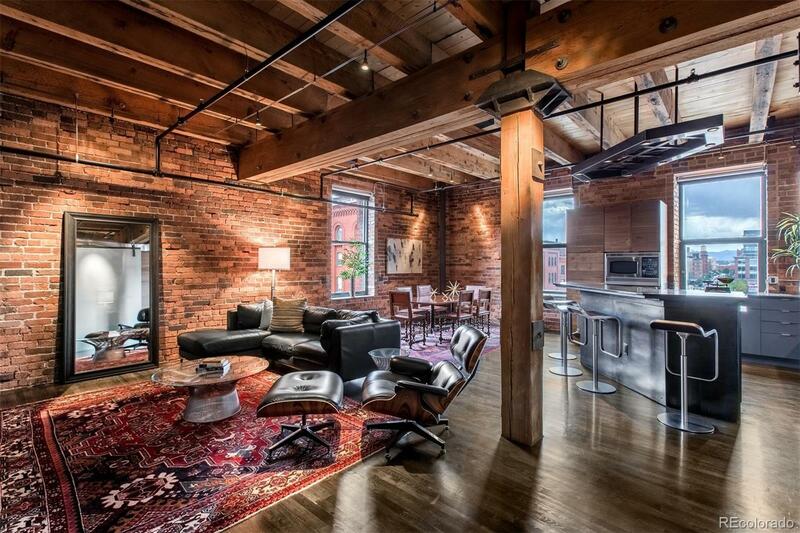 This striking architectural loft home provides nearly 1500 sq. feet of a well designed floor plan. Custom top of the line finishes include walnut cabinetry, large kitchen island, granite counter tops, Italian porcelain tile, Hansgrohe fixtures, fully integrated stereo/tv system, Lutron light system and motorized duo shades. The home office features a full size Murphy bed, wood and timber ceilings, exposed brick, a wall of glass and steel bathe the gallery style loft in natural light prepared to cater to the most exclusive lifestyles showcasing the city views. Additional ammenties include fitness center and roof top deck. The unit has rare storage space on same floor and 2 deeded parking spaces. Architectural plans designed by Bill Barbee, Lighting by Greg Mackle, Steel designs by Ryan Hobart. Overlooks Wynkoop St. and Union Station, corner unit.